It is interesting. But I wonder how significant this is as evidence. And specifically, of what? You need the flagellation of Christ scenes and the Crucifixion scenes – you can see there how the globules of blood on the hair of Christ and the blood running down the arms as well as flagellation marks and sores covering the whole body echo those of the Shroud. The Bible dates from c. 1330 .If those imagesare not here they come up easily on a Google images search. The important thing is to contrast these with illustrations of c 100 years earlier and you can see the dramatic changes in the iconography, e.g. The Pray Codex, much discussed here! !, had no signs of the scourging or the flowing blood on the arms. The Shroud and the Holkham Bible as well as other fourteenth century images such as the Roettgen Pieta do. It places the Shroud solidly within the fourteenth century. Imagine the figures of these human bodies to the natural size. Anatomical they are ABERRANT. Is it serious to say that the Man of the Sheet has an anatomical similar boss? Imaginen las figuras de esos cuerpos humanos al tamaño natural. Anatómicamente son ABERRANTES. Es serio el decir que el Hombre de la Sábana tiene un patrón anatómico similar? They present Christ as “a stark naked giant” compared to the two soldiers. Just guess why? Carlos, no one is comparing the anatomy of the illuminations with the Shroud of Turin. We are just comparing the distribution of the marks. If you want to see more accurate representations of the human body (even better than the Shroud ) you have to go to the paint or sculpture of the epoch. Happy to meet you again. Translation: Carlos, nadie está comparando la anatomía de las iluminaciones con la Sábana Santa de Turín. Sólo estamos comparando la distribución de las marcas. Si quieres ver representaciones más precisas del cuerpo humano (incluso mejores que la Sábana Santa) tienes que ir a la pintura o la escultura de la época. Mucho gusto en saludarte de nuevo. Personal comment: En mi blog podrás encontrar algunas imágenes que corroboran lo que digo. Aquí, por ej.:http://sombraenelsudario.wordpress.com/2013/05/28/el-argumento-de-la-perfeccion/ . Aunque ya sé que mi blog te debe parece obra del demonio. Qué le vamos a hacer. I never expected I would agree with Max on anything but yes here is a later fifteenth century depiction of Christ with the Crown of Thorns in place, blood on the hair under the Crown and flagellation marks covering the whole body and blood flowing on the arms – all very Shroud iconography. Ok Charles, but what about its 1268 CE Byzantine Armenian symbolic replica of the same flagellation marks on Christ’s himation-sindon PRIOR to the 14th c. CE? How come? FALSE. The HP Ms folio 28 lower register does have the flowing pattern of the RIGHT arm! PLUS symbolic depiction of the scourging as a line of diagonal red crosses. Typo: PLUS symbolic depiction of the scourging as a line of THREE diagonal red crosses (such a line of three diagonal X red crosses is observable on the TS man’s left scapula). From an icono(stegan)analytical viewpoint, I can conclusively demonstrate it. No Max. It doesn’t, and you can’t. You can suggest that two wiggly lines at the base of a cloth represent blood-flows, and you can suggest that three diagonal crosses on the tomb represent scourge marks, but your suggestions do not constitute a conclusive demonstration. Thank you for your illustrations above though; they are new to me, and very interesting. I had you to be fair play enough to publish them in your blog.You haven’t. WHY? Dan, please make Max’s paper available to us. The poor man is working eighteen hours a day, sipping Argentinian mate to stay awake. Neither the Holkham Bible flagellation scene, nor Max’s 1465 Man of Sorrows, both depicted above showing flagellation marks correspond to the reality of the Shroud flagellation marks. Both depictions above show marks on the front of the body and on the arms. The Shroud image shows very few if any at all flagellation marks on the front of the body, and there are none on the arms. There are a few marks on the front of the legs as the whip flicked around to the front (the pellets were at some distance from the tip of the thongs). Practically all of the flagellation marks are over the back as shown on the dorsal image. Even the Carolingian Psalter illustration (800-814 AD), previously noted by Max, shows a more accurate depiction, even though the wrists are crossed over the groin as shown on the Shroud. The prisoner was normally flogged bound to the post with his arms tied above his head, hence no marks on the arms. If the depictions were at all influential or related to the “painting(? )” of flagellation marks on the Shroud, then clearly the “artist” forgot to paint the marks on the ventral image and on the arms. The plain fact is that the Shroud imagery of flagellation corresponds more closely to the factual reality of flagellation than any artist’s gruesome imagination. Again, the crown of thorns depicted on the 1465 Man of Sorrows illustration shows a circlet instead of a helmet as indicated by the blood flows on the dorsal image of the hair (see my previous comment on Freeman Beat thread). David Mo has already made clear that the Shroud does not show a representation of a ‘real’ flagellation as there is no sign of the skin being broken at all. And if you look at the scourge marks, all 372 of them, on Faccini and Fanti’s illustration, you can hardly say there are areas where there are few marks. The crucial point , Marrow suggests, is whether you have scourge marks that cover the whole body back and front and the Shroud does in accordance with the inspiration of Isaiah 1.6. Obviously different flagellations will vary but this is certainly not a ‘real ‘ one and read my article to understand the OT textural background to the way the Shroud marks are displayed. I am getting to the point where I would put forward the Shroud as a classic example of the changing way in which the flagellation was portrayed in the first half of the fourteenth century..
As far as I know, David Mo is not a forensic pathologist, and his opinion is quite at variance with that of Dr Pierre Barbet who comments as follows: “… only those blows have left a mark which produced an excoriation or a contused wound. All those which caused ecchymosis (a severe bruise) have left no mark on the shroud. ” This is also consistent with the view of Dr David Willis. The Faccini-Fanti paper is their particular interpretation, and neither are they forensic pathologists. In particular the Type I weapon they illustrate cannot be the weapon used to produce the Type I flagellation marks. It shows four thongs with three pellets each thong located near the tips. Barbet states that the majority wounds occur as dumbbells in pairs, implying two pellets for each of two thongs. Most of the flagellation marks on the front of the body are produced by the tips of the thongs whipping around to the front, implying that the pellets were at some distance from the tips. The Faccini-Fanti Type II wounds they say are not clearly visible to the naked eye and have been elucidated by image enhancement, a method unavailable to any medieval copyists. They seem to envisage that the Type II wounds were produced by a type of lictor fasces. Very likely they were inflicted during the journey to the crucifixion site. A close-up inspection of the Mario Latendresse Shroudscope images, either Enrie negative or Durante positive, shows that the vast majority of the flagellation marks are on the dorsal image, with only a few visible on the ventral image. Faccini-Fanti show several marks on the ventral thorax, but that is their interpretation, and they are much less obvious on the Shroudscope images. David cited “15 years of experience in a NGO human rights organization” and having seen victims of flagellation victims as his rationale. I don’t think that “proves” the point, but that’s just me. And my main issue with it is that of all the victims that David may have seen, chances are that none were actually assaulted with something resembling the alleged flagrum of the shroud. Perhaps one of the regulars could replicate one and do some research in fresh pig carcasses? The skin of pigs, while not identical to humans, may be a decent facsimile. What you can’t do is to describe the horrors of being flogged by a flagrum and then say that the Shroud shows the after results of someone who has been flogged by one. You might argue the opposite that the marks of the flagellation on the Shroud show that a flagrum was NOT used. Is there any evidence to suggest Roman flagellation was universally brutal? Could there not be variations ie. from bone exposing barbarism, to lighter Shroud-like scourging? Most forms of punishment have different extremes of pain and torture, should flagellation be any different? Faccini and Fanti are not neither forensic nor experts in History of medicine. Not even are physicians. Pierre Barbet was surgeon. He doesn’t make any reference of historical literature about flagellation. In the two texts I have consulted, at least. If you maintain that experts can be refuted by not-experts in other thread of this forum, why not here? Be coherent, please. Obviously, I am not assuming that this would be the same artist, but the wounds in the hand are a key component of the entire depiction of this scene and it seems contradictive that the shroud would depict those in a manner that contradicts the conventional wisdom… Especially if it was going to be used as a prop in an official Church activity. Thus, I ask Charles to provide some contemporary examples where the wounds go trough the wrists for contrast. PD- Then again, an unrelated key question is “does the image exist under the back stains”? The Holkham Bible was made in London. There is some evidence, see my article, to suggest that the Shroud was painted in Southern Germany. 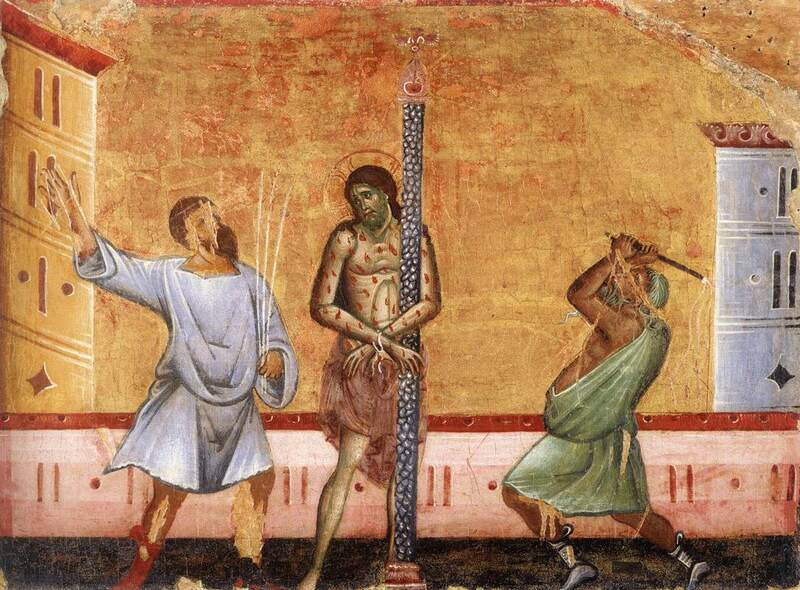 So no one is saying that they are the same artist – it is just that the word got around first among theologians and then it spread c.1300 into art that The flagellation marks should cover the whole body to fit with Isaiah 1.6. You cannot find this before 1290-1300. Obviously this was done in slightly different ways in different parts of Europe. So the Shroud ,one might say, is part of a family with enough similarities with other members of the family to date it within the same period. Russ, the Holkham Bible illustrations have nothing to do with the Easter ceremonies. My arguments for these are presented in the second part of my article – the Lirey pilgrim badge shows clerics holding up the Shroud in front of an empty tomb in exactly the same way the liturgy says it should be held up in the Quem Queritis ceremony- again I refer you to my article. Charles: I have read your article on line and I find it is a great work. It debunks many mythes of the alleged sindonists experts in the historical field. I find some little details to criticise that I will comment if I find some time to do it. Two things: I have picked up a lot of links to entombment scenes in my blog. (http://sombraenelsudario.wordpress.com/2014/10/01/cristo-en-la-tumba-imagenes/ ). I can certify that any lashing marks before the XIV century can be found. Not even blood stains, with one or two exceptions. A request: I couldn’t get a link to the image of the Shroud in the Livre d’Heures of Marguerite de Valois. Can you give me one? Thank you. Art Historian de Wesselow’s important point was that stylistically the image and blood marks of the shroud are very different to the art of the period. A very good example is that paintings showed flagellation wounds in very stylised ways as compared to the shroud eg. dots, or little trickles as we see in the paintings above. Similarly, many of the blood stains on the shroud display NO artistic styling – eg. side wound, wounds on feet, small of the back etc. One could argue that SOME of the blood wounds do – eg. head, arms. Thanks, David. Good to have the support. The original of the prayer book of 1559 of Margeurite de Valois is In the Royal Library of Turin and they should be able to send it online for a payment. It is illustrated in the print version of my article but the cost of getting rights for the World Wide Web were too high. It is also illustrated in Beldon Scott’s book on the Shroud. f. 013v ; Sujet : Flagellation du Christ ; Titre : Psautier cistercien ;Datation :vers 1260. Not really my point, I already noted that the artist was most likely not the same (I assume it was not). What was requested are other contemporary depictions where the “hand” wounds go trough the wrist. For something that was going to be used oficially by the Church, it would be really odd to wander away from the conventional wisdom in such a key element of the gospels. for me the lack of loin cloth is a bigger problem, assuming the shroud was created by an artisan / artist for public use / worship / display. the vast majority of art of the period has the loin cloth, and where it doesn’t it most certainly wasn’t art for wide public display or worship!!!!!! 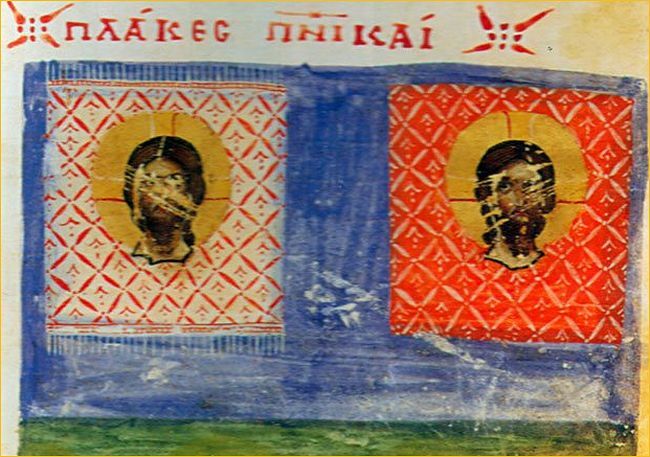 the presentation of the front and dorsal images are totally atypical, and Freeman hasn’t at all convincingly argued why a sheet with an image of the Crucified Christ used for worship – like the epitaphios – would need both front and back images. Despite his protestations, there are many problems with his article. The Church did not have official control. An American art historian Jeffrey Hamburger argues that much of this imagery was an indicative of the Dominicans who commissioned their work and told the artists what they wanted. If that is the case, surely there are other examples. Can you provide them? Hugh, you STILL do not seem to have neither the foggiest notion of what iconosteganalysis and iconocryptanalysis is all about nor how they can be very accurate for identification’s sake. 2/- though apparently very dissimilar, the HP Ms folio 28 Christ’s face and Turin Shroud face does have strikingly similar ACCIDENTAL characteristics. 3/- The HP M Christ’s head tilted at a gentle angle is anatomically consistent with the TS man’s slightly tilted head. 1/- symbolic depiction of the scourging via three diagonal red Xs that is to be seen in conjunction with the TS man’s scapula regions. 2/- simplified yet recognizable depiction through one accidental characteristic of the blood flow on the TS man’s right arm in conjunction with a steganosymbolic depiction of the TS man’s side wound (The double wriggly lines are a simplified version of the TS man’s right arm blood flow indeed). 5/- the ‘embedded yet perfectly recognizable symbolic depiction’ of the TS frontal image right foot two lateral symmetrical bloodstain patterns. derived from the TS image indeed.